The SSC-1 Silent Speaker Chamber is the answer for those trying to achieve a full bodied electric guitar sound without disturbing the neighbors or for use on-stage to reduce stage volume. Features include an adjustable built-in microphone stand with XLR output and 1/4" input jacks on the exterior. 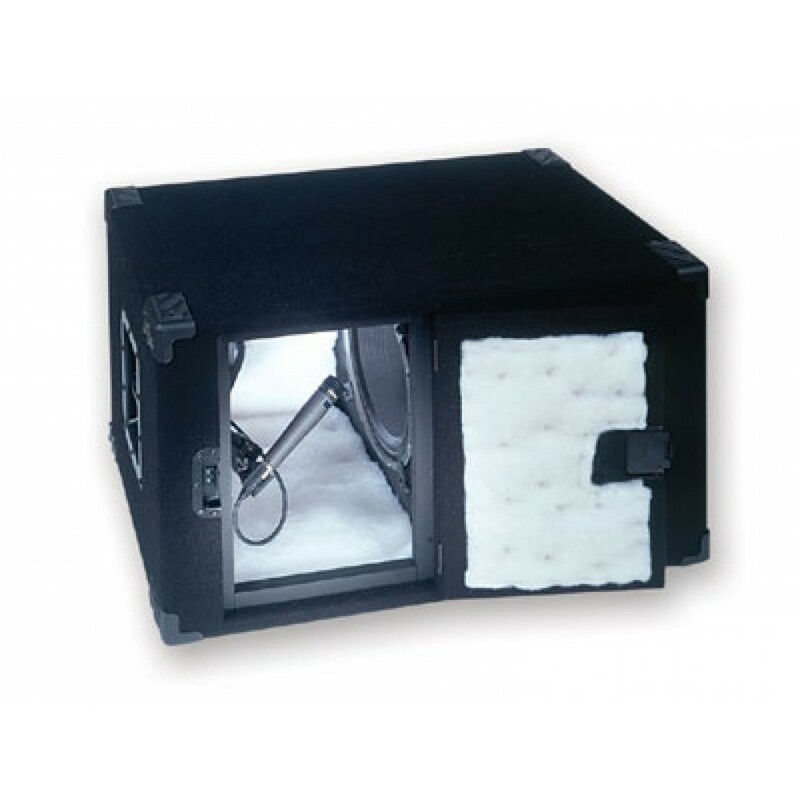 Ideal for live recording and live situations where leakage is a problem. Handmade of 3/4" marine grade plywood with heavy duty molded corners, fully insulated and wrapped in durable black carpet. Available loaded with a 12" 80 watt Eminence speaker (SSC-UL) or unloaded (SSC-1U). The SSC-1's dimensions are 30" by 18" by 18". Unloaded the SSC-1 weighs 45 pounds, loaded 50 pounds. See the SSC-1 on the road with Matchbox 20, Sonny Landreth, KISS, ZZ Top, Tom Petty, Bryan Adams, Blues Traveler, and many more.